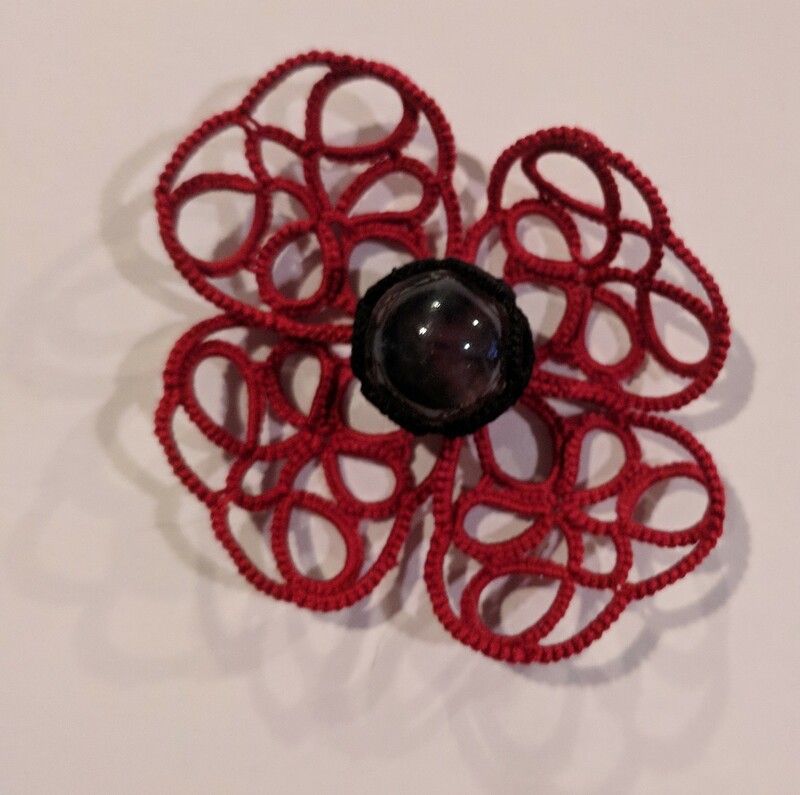 That's a pattern I like tatting, it's funny that I tat it "upside down"! I start with the scmr, then rotate and tat the ring/head with the same shuttle of the feet (that I called sh2). At this point, both shuttles are on the same side of previous arm/chain, so I turn the work from left to right and reverse all to prepare the position for tatting next chain. But I need to rearrange threads, so: I pass under the head (its head! Not mine!) the shuttle coming from the core of the scmr, and I pass over its head the shuttle coming from the ring, that rotates. Shuttles need to be switched to have the chains (arms) the same colour of the body. This edging is adorable! Another to add to my To Tat list :). Aha, I've wondered about those people on your header. Thanks for explaining how they're done! I, too, have often been amused by the happy little people dancing along the edge on your header (& the lines from the song, too) ! 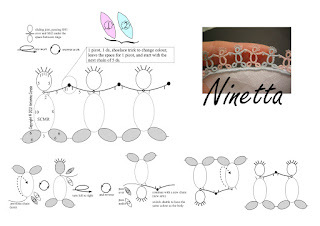 Hi Ninetta, I love your little people but I am having trouble needle tatting all of their parts in the correct order. Do I start with the SCMR, then the head, then an arm, but oops then my person has no feet and I am trying to start the next person! Can you help me please! Thanks for such a cute pattern! Dear Nancy, I can only guess with needle, because I'm a shuttle tatter. I think that you should have a second needle (?) for the feet, they are like floating rings.